Buy the right size and style fender to protect your boat. While you shouldn’t be that guy cruising down the lake or ­Intracoastal Waterway with your fenders flapping for all to see, you should invest in the fenders that are best suited to protect your boat. Here’s what to look for in two different kinds of fenders and whether they are right for you. Traditional cylinder fenders are the most popular style available for boats of all shapes and sizes. What size should you get? 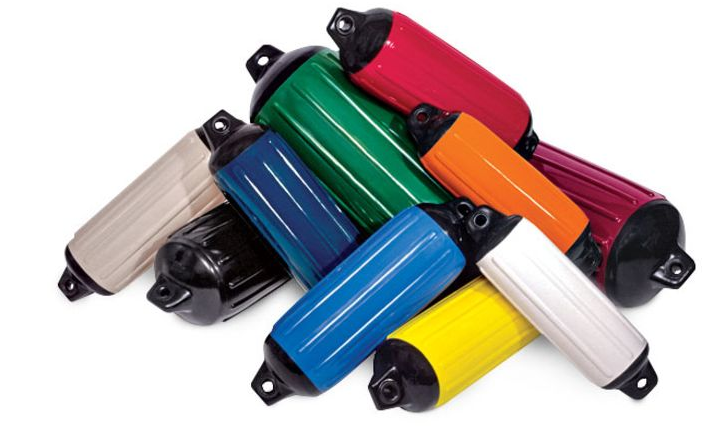 West Marine recommends fenders with 1 inch of diameter per 4 to 5 feet of boat length. So, a 20- to 25-foot boat should use at least 6-inch fenders; a 25- to 35-foot boat should use 8-inch fenders. Of course, the bigger the diameter, the more protection there will be between the hull and the dock, so get the biggest fenders you can stow. Cylinder fenders can be hung two ways. Horizontal hanging is best when pulling up side-to at a dock or pier. Horizontal hangings work best for sections of the boat that will potentially rub up against exposed pilings. 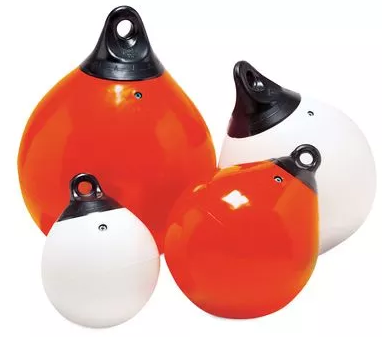 Ball fenders are ideal for larger boats because, when properly inflated, they are harder to crush on impact. They are also better for boats with a lot of bow flare because they are wide enough to keep the lower hull sides from hitting the dock. The caveat? If left inflated, they take up more space, which makes them better for boats with large stowage capacities. What size should you get? For round fenders, West Marine recommends 2 inches of diameter for every 4 to 5 feet of boat length. So, a boat in the 30- to 35-foot range should use 21-inch-diameter ball fenders; a boat with a length overall of 50 feet or longer should use the larger 27-inch size.